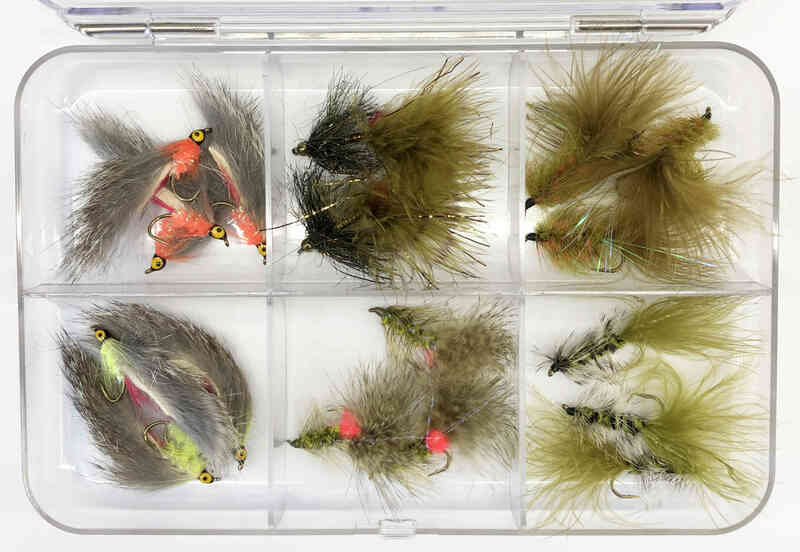 We have been carrying this great range of big flies - intruder style flies and similar - from our mate Bev. With the upswing (pardon the pun) of swing style fishing and spey lines and skagit lines, we have had huge interest in these big flies. They are fun to tie and awesome fun to fish. 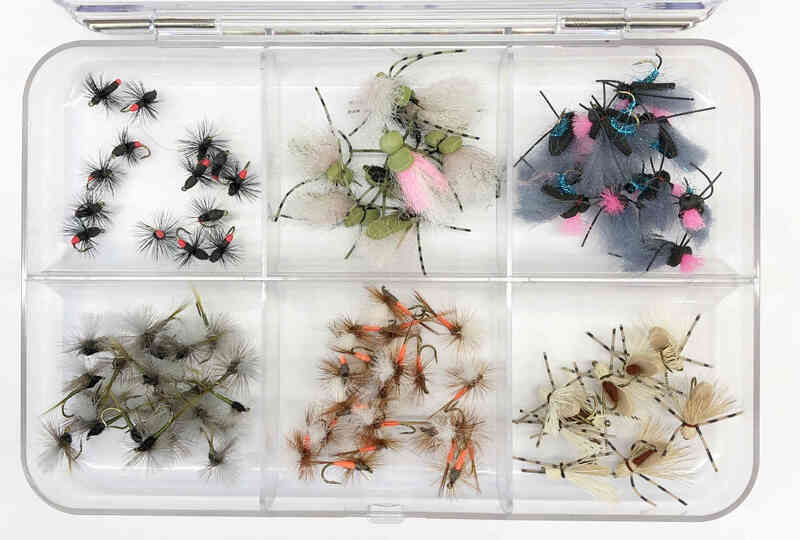 Check out Bev’s full range of flies here. 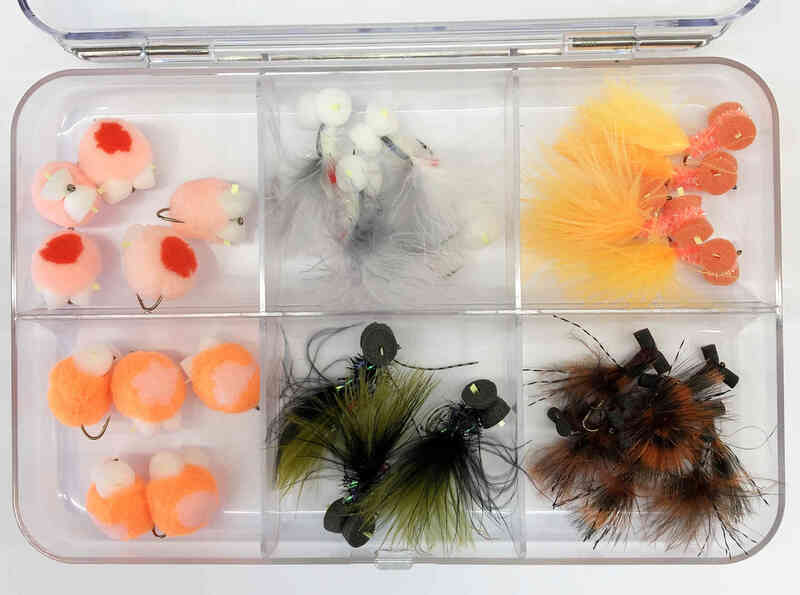 Bev does a great jog of tying these up for us and is always coming up with new patterns to test on the water, but we didn’t have a nice way to store and carry these flies on the water. 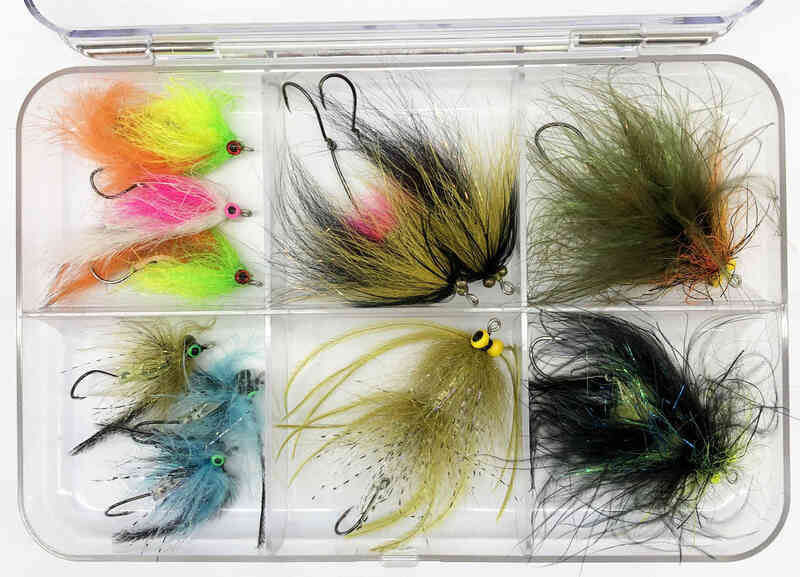 Big streamer style flies just don’t sit nicely in regular fly boxes, or the boxes are too thin and crush the bigger flies, and regular compartment boxes just are not large enough for these big flies. So we have just got our hands on these larger 6 compartment clear fly boxes which do the job nicely. The compartments in these boxes are 60mm x 58mm so they nicely hold and display these bigger style flies. They are also great for any traditional streamer style flies, wooly buggers, rabbits, boobies, etc. The overall dimensions of these 6 compartment fly boxes are 187mm x 127mm x 22mm. Another nice feature of these boxes is they have rounded corners. 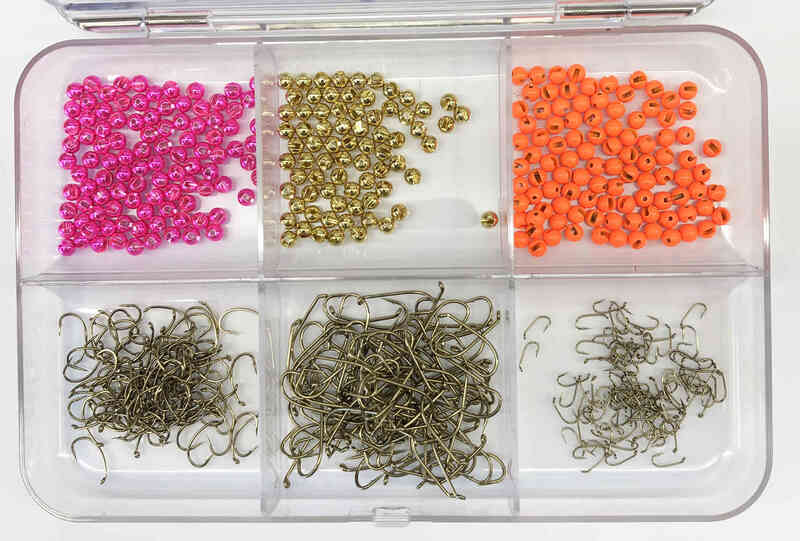 This means you can use them for storing fly tying materials such as beads and hooks, and they are really easy to get out of the compartments. This photo has 300 beads and 300 hooks - which just shows how much capacity these boxes have. We think these boxes are going to solve most of the storage problems you have.